Skate Session - 1 or 2 hours - Skate Sessions are capped at 20 participants to ensure that the skate park isn’t overcrowded and to allow every participant enough quality time on each area of the park. 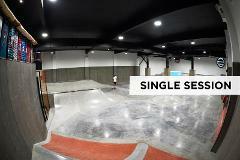 Join a Group Lesson - 1 hour - Group Lessons are capped at 10 participants to 1 instructor to ensure that the skate park isn’t overcrowded and to allow every participant enough quality time on each area of the park. Private Skate Lesson - 1 Hour - A one on one private skate lesson with one of our qualified instructors. After School Program - $199 for a term (8 sessions at the same time each week for 8 weeks). 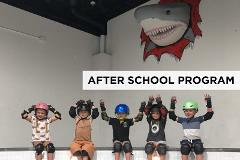 After School Program - $199 for a term (8 sessions each Thursday at 5pm each week for 8 weeks). Skate Clinic for Intermediate to Advanced skaters - $280 for a term (8 sessions each Wednesday at 5pm for 8 weeks).